Buying a mattress topper to extend the life of your mattress is a common solution for many people who are uncomfortable on their bed. In some cases, it can be a lifesaver. In others, it is like gluing your shoe back together – it makes it usable for a while, but things quickly go back to the way that they were before. Who Should NOT Buy a Mattress Topper? Everyone else. No, really. If you have an old mattress, and are trying to make it more comfortable, just buy a new mattress. The reason why your back hurts is the lack of support. A topper does not offer any additional support, just comfort and pressure relief. Your back is still going to feel as sore, even with a new topper. If it’s a price issue, take a look at some less expensive yet supportive and comfortable mattresses like the Beautysleep Mount Laurel or the Perfect Sleeper Huxley Plush. Many stores also offer financing, like our No Credit Check financing from Progressive. I have heard of customers that just get so sick of mattress shopping, and are so confused by all the different beds and stores out there, that they just give up and buy a topper to make their current bed last longer. People, procrastination isn’t going to help you. Not only is mattress shopping going to be equally as horrible in a few years, but there was a reason why you went shopping in the first place: your mattress is worn out, and needs to be replaced. Find a reputable dealer, that employs a salesperson that is both knowledgeable, and that you like. Then spend an hour with them, and really decide what is best for you. 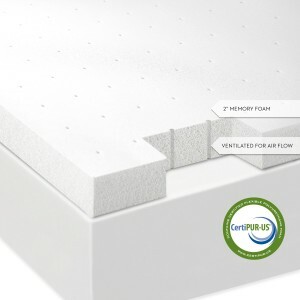 High density foams, such as memory foam, or latex foam will last the longest and offer the most pressure relief. Good quality American made products, however, may cost as much as a new bed, so be prepared. Stay away from those “egg-crate” polyurethane foams. While they are in every bed every made, they are usually placed under a few layers of breathable material. As a topper, they are right up against you, and will trap heat and make your bed into a sauna. Additionally, they aren’t the most durable, so while cheap and easy to find, plan on replacing it in as little as 2 weeks. Gel foams will keep you cool and comfortable, but are usually a bit firmer than other toppers. They last a long time, but are pricey. Yes, there are still down toppers. No, I don’t like them. They are bird feathers, you know. They start to smell after a while. The quills start to poke through the fabric and into your skin. They cause some people overwhelming allergies. You have to fluff them up EVERY DAY. And really, it’s just gross. Buy synthetic, buy foam, fill your bed with styrofoam peanuts, lay in 2″ of marshmallow fluff, whatever floats your boat, but please, don’t buy a down topper. Yuck. A topper can extend the comfort of your mattress for a period of time, but will not affect the support at all. An old, tired mattress will still make you feel old and tired after sleeping on it, even with a topper. Back Pain and Mattresses: Is Memory Foam your Best Bet? Back pain. Ugh, is there anything worse than unexplained back pain that just goes on for months? (I know, there are a lot of things like cancer, paralysis, PTSD, Huntington’s Disease etc., but stay with me here). I woke up a few days ago with a pinched nerve in my back, which is keeping me from moving my head, lifting my arm, and, according to my family, it’s also keeping me from being even slightly pleasant to be around. I don’t know what I did to it, I sleep on a great mattress, and I don’t remember lifting anything that was especially cumbersome. There was no crack, no pop, no immediate stabbing pain. I just woke up and tried to get out of bed, and saw stars. There is a ton of great info listed here which everyone can use, regardless of current back pain or not. I realized that I am not sitting right, and while my sleeping posture is perfect (of course), I should probably beef up my core with Pilates, and get back into yoga. When I can move my neck, of course. Try memory foam. It fills in your lumbar region, you will toss and turn less, your circulation will improve, and it helps keep your body in its natural, aligned position. If you’re concerned about getting out of it, try a Comforpedic (which is quicker reaction than most others), in a firmer feel such as the Advanced Rest. Adjustable beds aren’t just for hospitals. You can lift your feet a little and take the pressure off of your lower back. We usually pair ours with memory foam beds, but you can use any Beautyrest, latex, or most air mattresses. If you MUST have an innerspring, go for medium firm with excellent lumbar support, like a Beautyrest Luxury Firm, or maybe an iMattress XS1. Remember, I am not a doctor, and should not be considered an expert in back pain or what may be the best for your back. However, I can tell you that I sleep on memory foam, and usually have no back pain whatsoever. Another big thanks to www.top-nursing-programs.com for the infographic, and for showing me how my computer hunched ways may be further damaging my back. Keep ‘em coming! I have told my customers hundreds of times “finding the best mattress for you is the most difficult thing that you can shop for”. There are so many different choices, you’re never sure if you’re getting a good deal, and how are you supposed to know if you’ve got the best mattress until you’ve been sleeping on it for a few weeks? As difficult as each of those problems are, to me, there is an even more difficult facet of buying a mattress. Many, if not most, of our customers are couples that both sleep on the same bed. And while the dynamics of every relationship are different, there is usually a “decider” and a “go-along”. This “go-along” often says that they can sleep on anything, that the “decider” has worse back problems, or that their comfort isn’t as important as the “decider’s”. Alright, “go-alongs”: I am as much of a fan of choosing your battles as the next person, but this is a battle worth choosing. Why? You are going to spend a THIRD of your life on this mattress, for the next ten years. Don’t you deserve to be comfortable, as much as your partner? If there is a possibility, even if it’s slight, that you won’t sleep well for TEN years, isn’t it worth looking into? That’s 29,200 hours of tossing and turning. You deserve the best mattress for your body type and support needs. Your partner’s back might be worse now, but who’s to say that yours won’t catch up? Or that your hip and shoulder pain is less important? Or that you won’t DEVELOP back pain from sleeping on a mattress that isn’t the best for you? One word: RESENTMENT. If you’re not sleeping well, you will resent your partner for not only choosing the bed, but for sleeping well on it while you’re up at night. 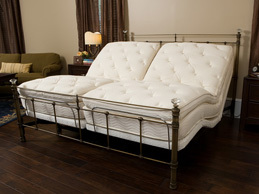 Beautyrest makes beds that have a softer side and a firmer side, but not for long. It was last year’s feature, and isn’t available for this year’s models. Call us for details and to see if they’re still available. Memory foam is great for people who need different levels of support, or are of different body types. The memory foam responds to your body’s unique curves, and gives everyone unique support, complete pressure relief, and a motion free sleep. One mattress may be the best mattress for everyone! So for all you “go-along” partners, remember that you deserve to be comfortable too. Sure, there are times that giving in is easier than fighting for what you really want, and I’m a big proponent of letting everyone win every once in a while. But don’t forget that this new purchase is a mattress, and can make your life great, or really exhausting and uncomfortable. Your choice. Edema is a common problem among older people; it is a buildup of fluid, usually occurring in the ankles, feet, and legs. While it is not always painful, it can make walking difficult, and can make the legs and feet feel very heavy. WebMD states that leg edema can lead to skin ulcers, and can interfere in blood flow. For more serious cases, medication can be prescribed, but other options are available. By raising the legs above the heart, fluid can disperse and make walking more comfortable. Utilizing an adjustable bed is the easiest way to raise the feet and legs comfortably, for an extended amount of time, with minimal effort. As we age, the cartilage and ligaments that hold together our vertebrae in our spines becomes thin and less cushioning. This can lead to back aches, and chronic pain. An adjustable bed can be moved to any position that takes the stress off of the affected vertebrae, and can be changed to react to the pain location of the moment. 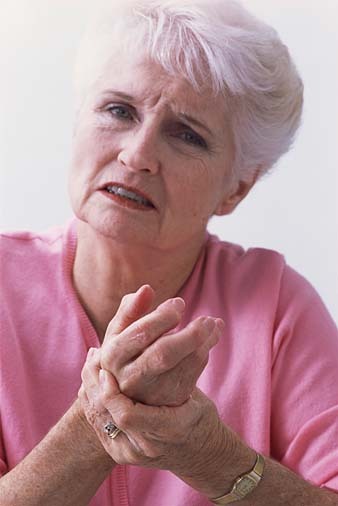 Arthritis is a common problem for seniors. There are many different types, but the end result is the same: stiff, painful joints. Adjustable beds can be positioned in any way that is comfortable for the sleeper, a position that will take away the ache and allow the person to sleep comfortably. Additionally, the morning is often the time where arthritis sufferers feel the stiffest, and it may be difficult to get out of bed. By raising the head of the bed and lowering the foot, adjustable beds effectively help “push” the sleeper out of the bed easily. Older people get less sleep than younger people do, and often find it hard to stay asleep once they get to bed. While as we age we need less rest, the rest that we do get needs to be restorative and rejuvenating. Seniors are more affected by the side effects of not sleeping well: memory loss, confusion, and cognitive difficulties, to name a few. By ensuring that the few hours of sleep they get is completely comfortable and restful, it will keep their minds sharp during the day. Finally, for those that are bedridden, it’s more than just avoiding bedsores and maintaining comfort. 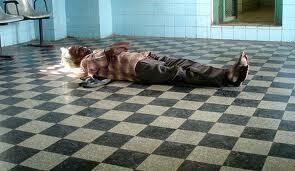 For those who are restricted to their beds, the hardest change to accept is sometimes the lack of freedom and autonomy. By resting in an adjustable bed, the patient can adjust themselves, make themselves more comfortable, and even take over some tasks that can be done sitting up. They are also able to put up the head of the bed to watch TV, read, write letters, work on a laptop, or a hundred other tasks that wouldn’t be able to be done on a flat bed. 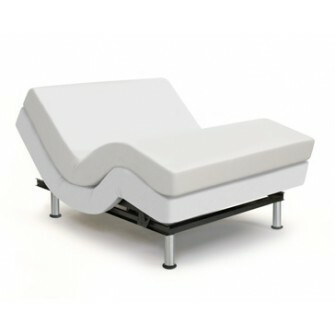 Adjustable beds are not just for the infirm, they can be for anyone that wants a more comfortable lifestyle. Whether its edema, arthritis, back pain, lack of quality sleep, or being confined to bed, an adjustable bed can make sleep time and awake time more enjoyable. Some Interesting Links for Seniors to Read! 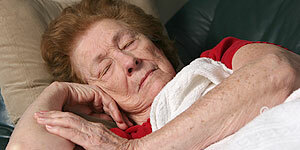 What Causes Sleep Problems in Older People? Dr. Vitiello, studied older people who reported no sleep problems – NYTimes. For Older Adults – What can I do to sleep better? Having Occasional Back Pain – Sleeping On The Floor: Crazy or Comfy? It forces you to sleep on your back, and you don’t toss and turn really at all. I’m assuming that this is because of the pressure points while sleeping on the side would be unbearable. There were reports of back pain going away, and of feeling exceptionally refreshed in the morning. The Japanese sleep on very firm floor pads, and see how smart and productive they are! The floor is one of the dirtiest places in your home. Think bugs, spiders, etc. You’re probably going to sleep alone, since your partner (or potential partner) will probably not want to be down there with you. As we get older, it gets harder and harder to get up off the floor, especially in the morning when your joints might be a little stiff. I don’t think that I could survive not ever sleeping on my side. 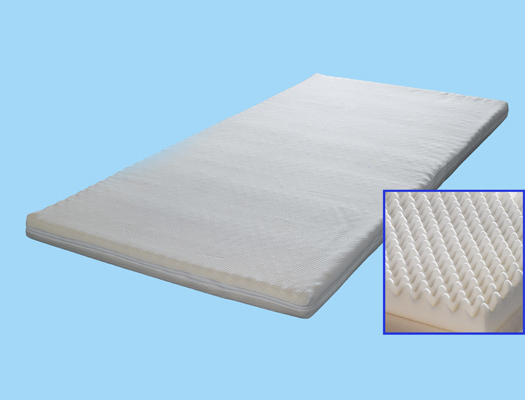 The purpose of modern mattresses is to support the natural position of the spine. The spine is curved; it goes in at your lower back. If you sleep on your back, on a very firm, flat surface, the weight of your organs actually pushes that natural curve towards the floor. End result: your naturally concaved back is forced into an unnatural straight position for eight hours, while your body is supposed to be healing and rejuvenating itself. Overall, I believe to each his own. If you’re comfortable on the floor, then so be it. However, I do believe that we were meant to sleep on something padded, since cavemen were known to pad their sleeping area with pelts, grasses, or whatever they could get their hands on. I think that the problem that some people are finding is that their mattress is not the correct support, and the change in support moving to the floor is refreshing. My recommendation? Sleep on the floor if you want, but eventually, you’ll have to get a good bed, like the rest of us. Lower Back Pain Symptoms – America spends approximately $50 billion a year on low back pain. Bed Frames: Do They Really Need Replacing? lunette carrera on A Battle for the Ages: Tempurpedic or Comforpedic for your Memory Foam Mattress?